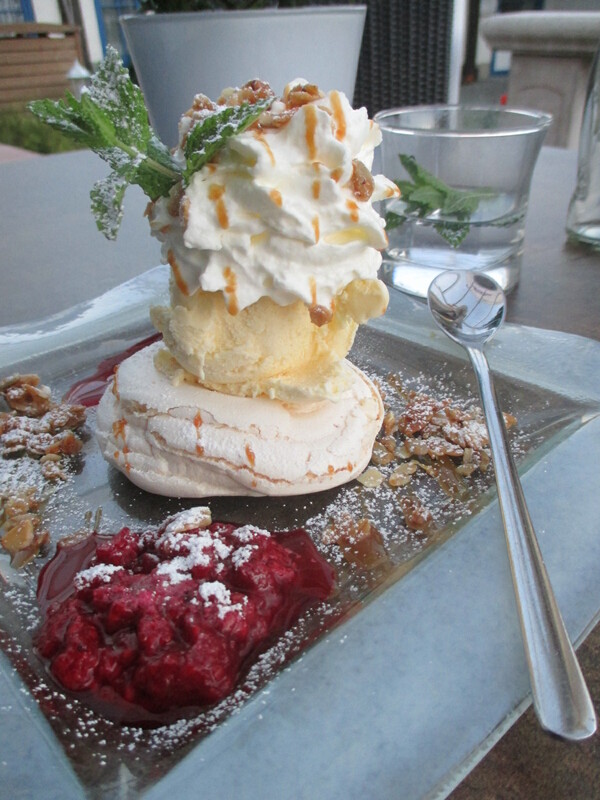 I recently went for a short trip on the wonderful island Rügen, in the Baltic Sea, I visited a few restaurants there and this is one place where I really had a nice dinner. 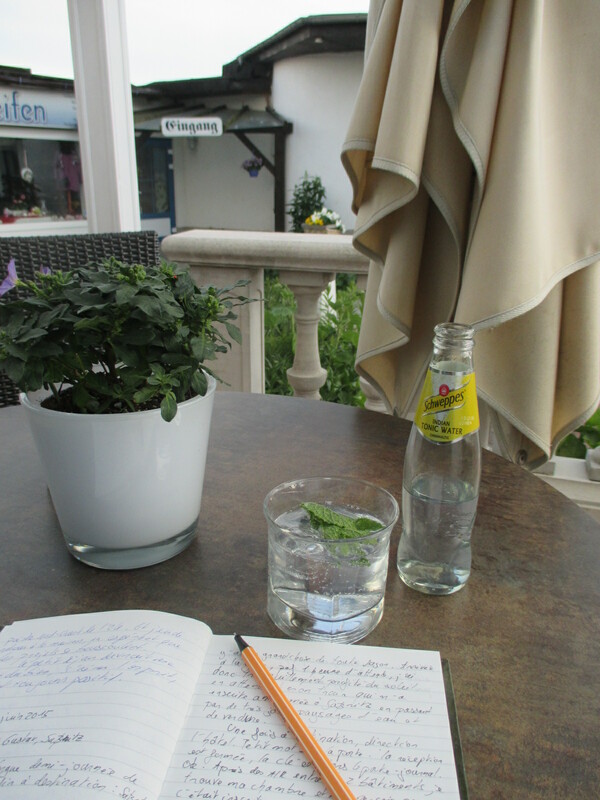 Shortly after my arrival in Sassnitz, I looked on Trip Advisor for some good local restaurants and it looked like König Gustav was quite a good one, plus it was very close to my hotel so I went there and sat on their lovely terrace. 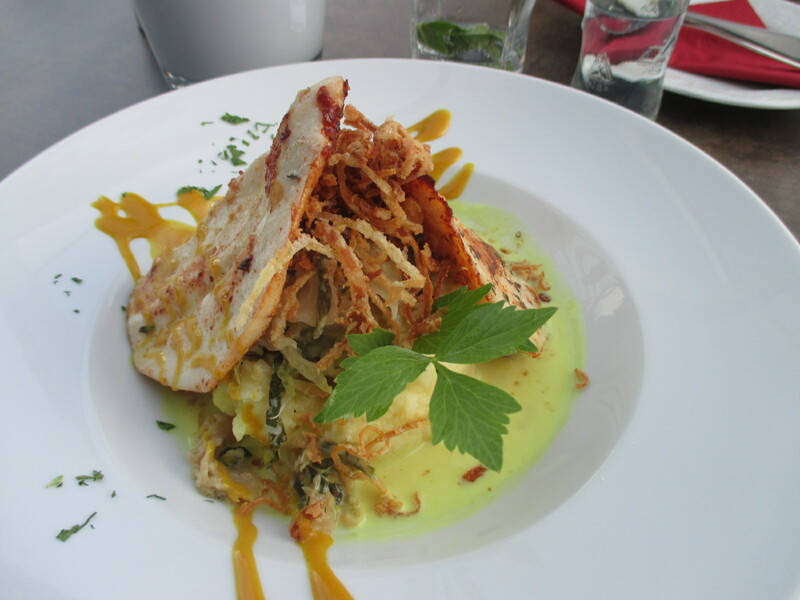 I first had the Mecklenburg style chicken breast with mashed potatoes and honey-mustard cream sauce, really tasty. Meklenburg, because Rügen is part of the Meklenburg-Vorpommern Land. For dessert I tried their speciality, the Norvegian Iceberg: meringue base, vanilla ice cream, whipped cream and krokant; served with hot raspberries and more krokant. It was wonderful, my tastebuds were extremely happy! Even if the waiter forgot me at the end (he told me so when I went in to pay, but I am quiet and on my own, I can get it^^), he was very friendly, service was reasonably quick and prices were ok. I can only recommand this place. Categories: Germany, Sassnitz, Ze Rest of the World | Tags: diner, fish, german, Local, Rügen, Sassnitz | Permalink.